The MAU at BMW Team Keeps Getting BIGGER and BETTER! Join the MAU team that's getting bigger and better. 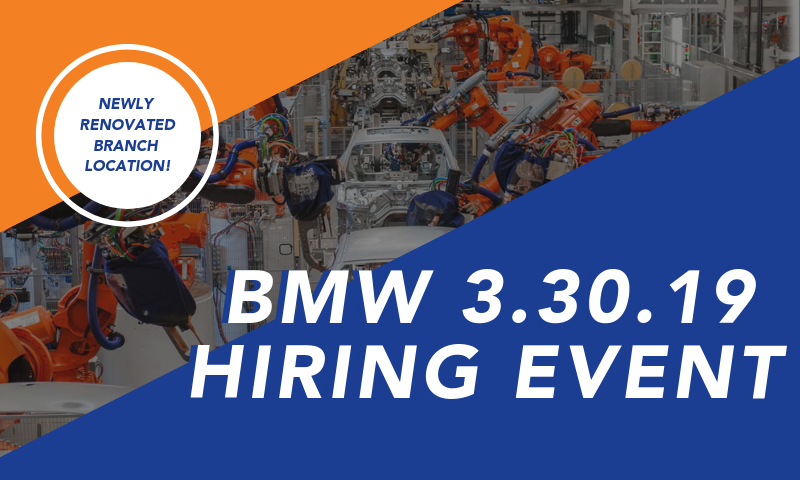 Attend the 3-30-19 MAU at BMW Hiring Event! Join our growing team for starting pay of $16.50-$17.50 an hour, major medical, referral bonuses, and much more! 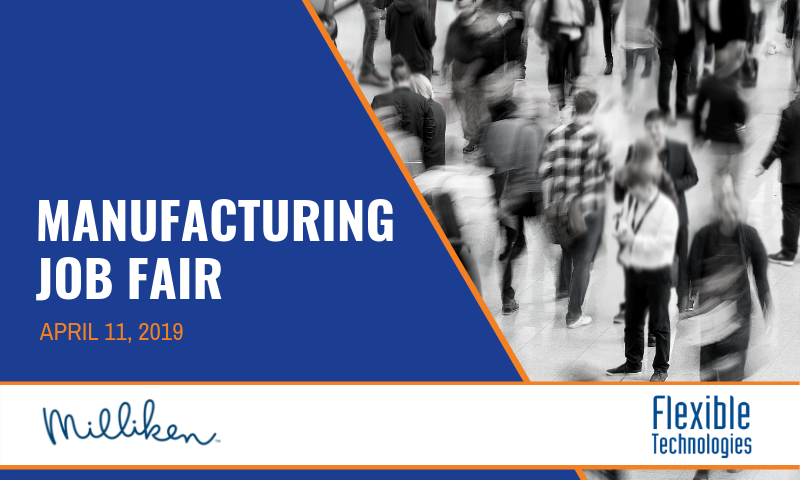 Attend the Multi-Client, Manufacturing Job Fair for the opportunity to join the MAU team as an Inspector at Milliken McCormick or a Packer at Flexible Technologies. MAU Workforce Solutions with Bosch will be attending the NAACP Diversity Career and Job Fair. 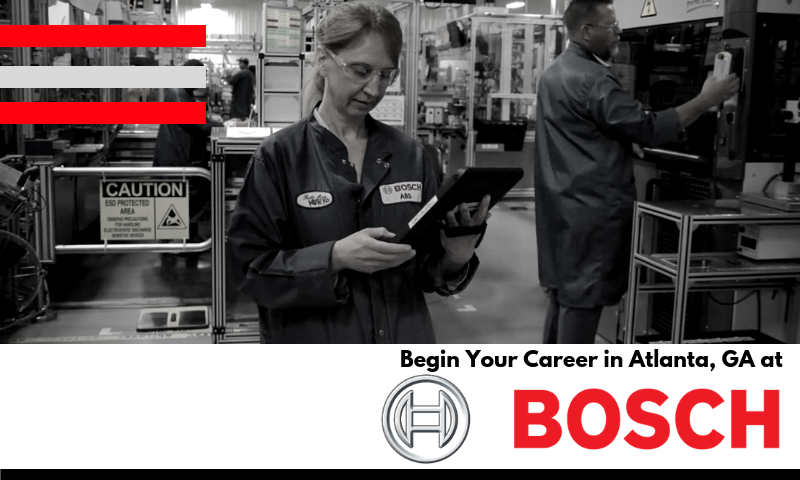 MAU is now hiring Assemblers at Bosch. Live like a Bosch and join the team that has been the leading provider of parts and accessories for all types of automobiles in North America since 1906. MAU is increasing its network in the metro Atlanta market by increasing its partnership with the Bosch Group. 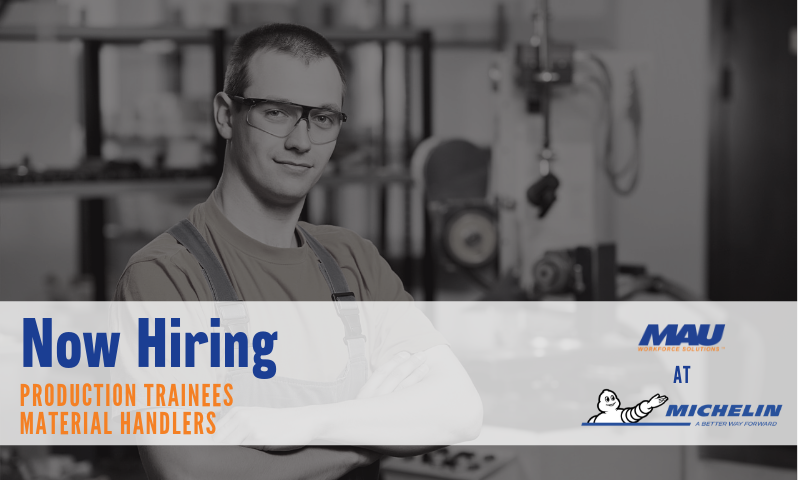 MAU will help the global engineering and electronics manufacturer increase its workforce by hiring for Material Handler and Picker/Packer jobs at Bosch in Atlanta, GA. Since 1977, MAU has worked with Kimberly-Clark to fill its staffing needs in Beech Island, SC then growing into Ogden, UT, and Neenah, WI. MAU will continue that partnership and growth in Paris, TX. 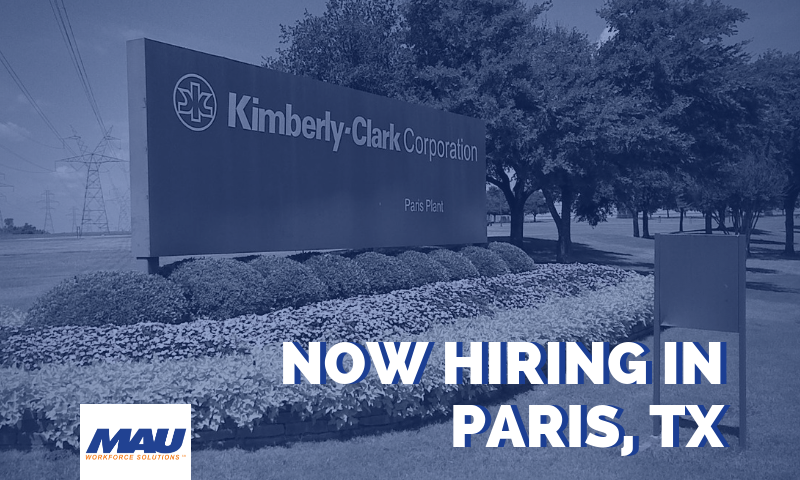 Work with MAU at Kimberly-Clark as a Forklift Operator, Packer, or one of many other available positions at the Paris, TX facility. 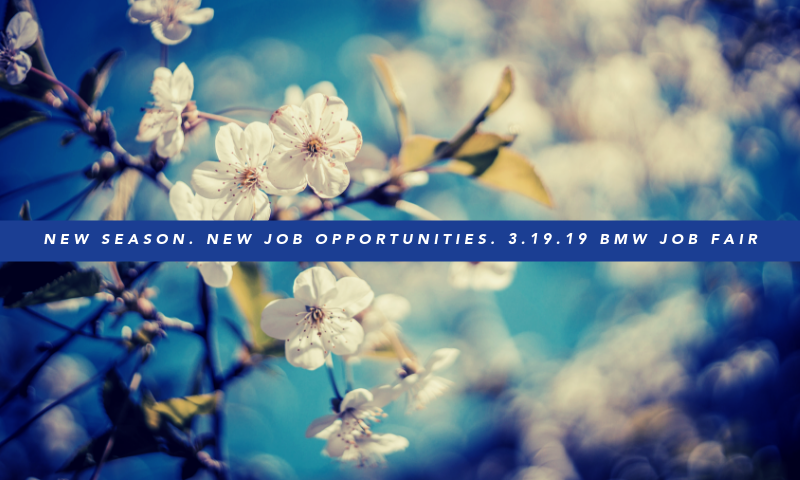 Attend the March 19, 2019, job fair at the MAU Greenville branch located at 7993 Pelham Rd from 7:00 AM to 6:00 PM for a chance to join the team at BMW as a Production Associate or Forklift Operator. 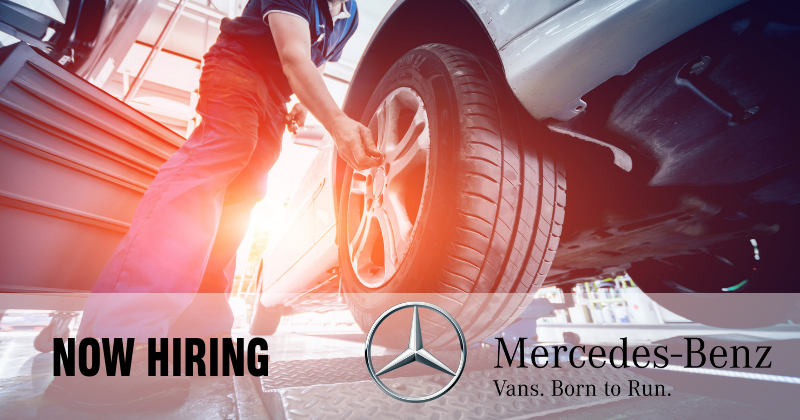 Join the force that helps produce the X-model vehicles at the BMW Spartanburg campus. MAU is hiring with the Heard. The Wisconsin Herd, the NBA G League affiliate of the Milwaukee Bucks, will host a job fair 3.13.19, from 1:00 pm to 4:00 pm at the Menominee Nation Arena prior to the game at 7:00 pm that night. 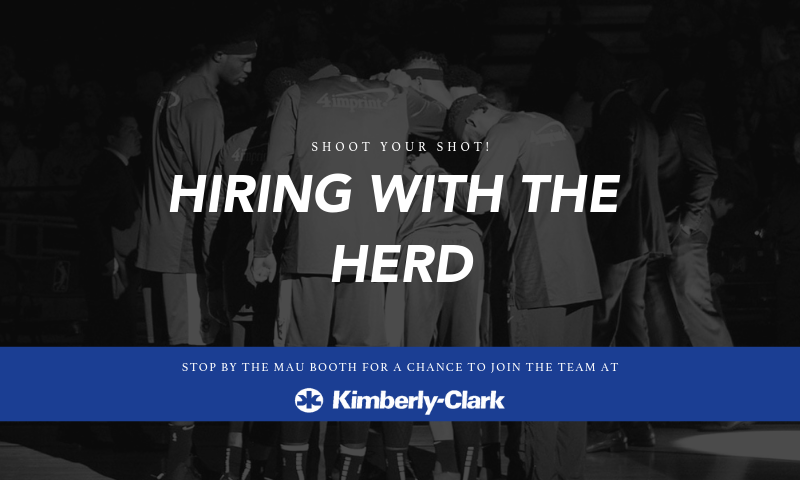 Stop by the MAU booth for a chance to join the team at Kimberly-Clark. 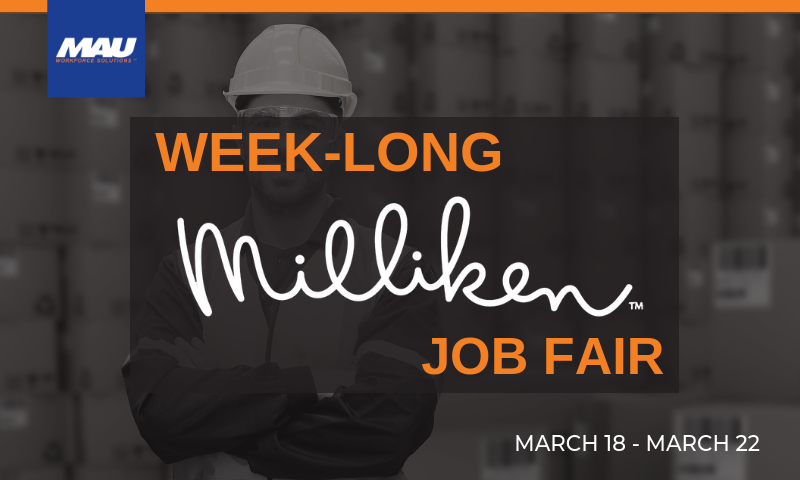 We know you're busy, that's why MAU is hosting a week-long Milliken hiring event in Anderson, SC with extended hours! Do not miss this opportunity to join the MAU team at Milliken & Company: A Global Innovation Leader. 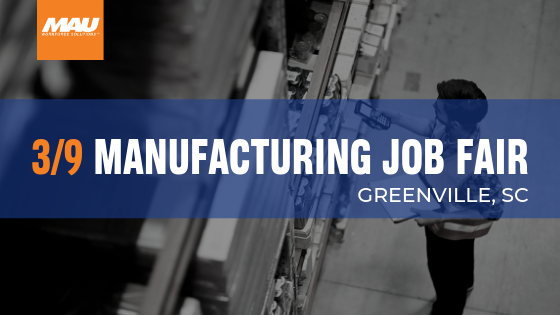 Some of Greenville's top companies will be hiring at the same place at the same time! 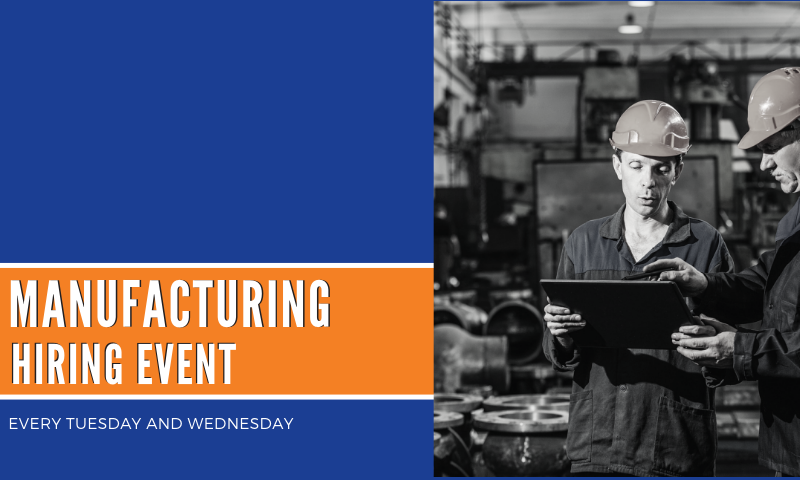 Don't miss your opportunity to start your new career with MAU at the Upstate Manufacturing Job Fair. 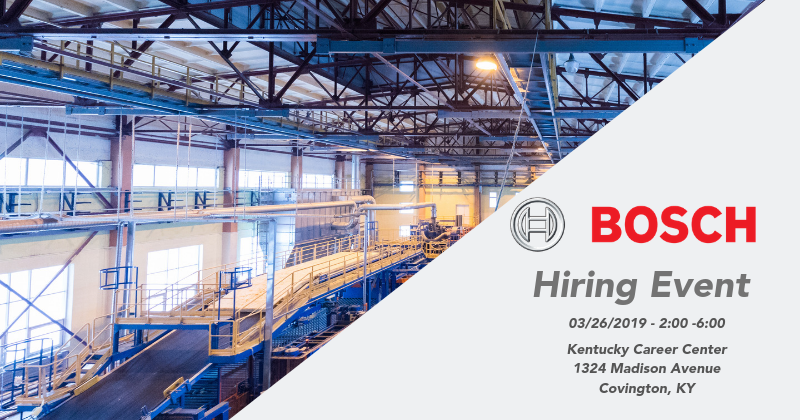 Attend the MAU at Pegasus Steel Hiring Event Thursday, March 7, 2019 from 4:00 pm - 7:00 pm for the opportunity to work with MAU at Pegasus Steel. 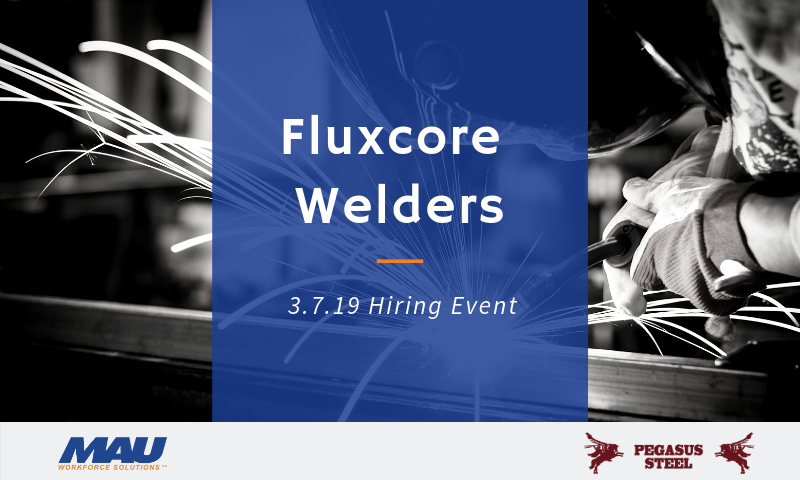 MAU at Pegasus Steel, LLC is looking to add Fluxcore Welders to the team.